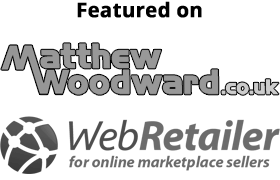 Sometimes we’re so busy chasing the latest trends in online business that we don’t stop to realize that there are people making good incomes on sites like eBay with ideas that are incredibly simple to execute. What do I mean? Here’s an example. Do you have a friend who raises goats? Well, finding a customized gift for the goat lover in your life is harder than you think. Don’t worry – there’s an eBay seller that has you covered (isn’t there always?). 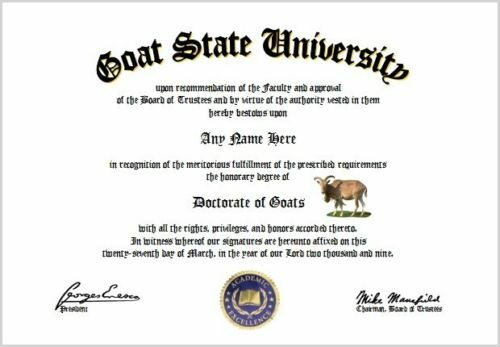 They sell a Goat Lover Diploma from Goat State University. Before you chuckle too hard, you should know that they’ve sold $359.10 worth of Goat Lover Diplomas. This successful eBay seller turns a 50¢ sheet of quality stock like Baudville’s heavy weight royal blue certificate paper and a 20¢ gold certificate seal into a $19.95 product. If you subtract expenses of about $3.00 for eBay and PayPal fees, $2.00 in mailing costs, and 30¢ for color ink to print it, you’re left with about $14 in profit per certificate. Not counting the printer ink, that’s more than 1,600% profit! Keep in mind that creating certificates for goat aficionados is just one of their niches. They sell novelty certificates in nearly 1,300 different niches. Some of their custom certificates have sold hundreds of copies. Did you do the math? Do I have your attention yet? 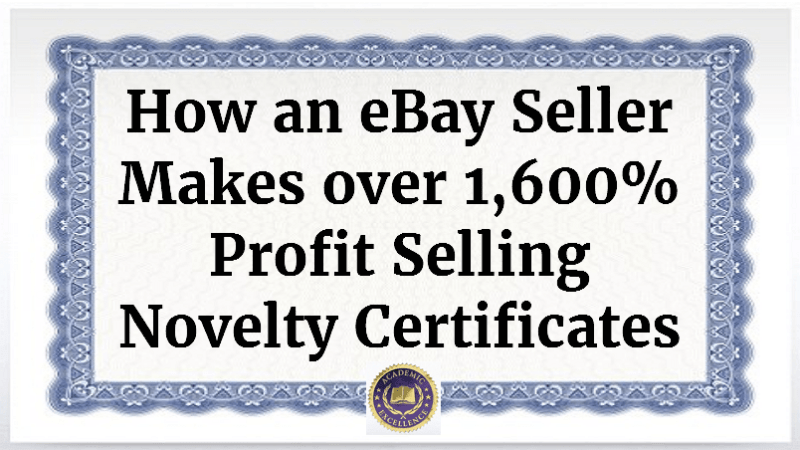 If you started an online eBay business and sold just 20 of these certificates a day, you’d make over $100,000 profit per year. That’s not bad money for a couple of hours work each day. But there’s no need to copy their business model (please don’t!). There are literally hundreds of similar examples like this on eBay to give you ideas. 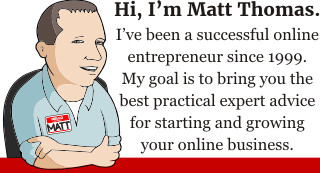 The bottom line is that there are so many ways to make money online that it’s vital not to get tunneled into thinking you have to do what everyone else is doing to be successful. One little, focused idea can make you a lot of money.